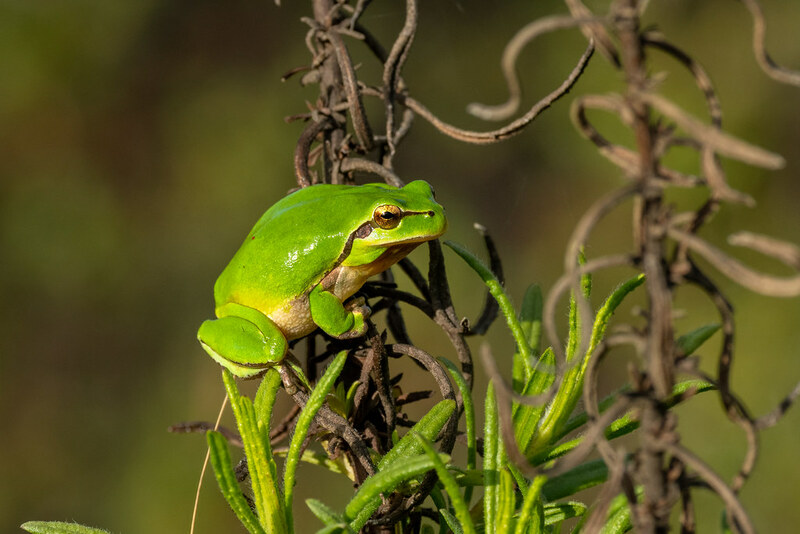 Normally the local Mediterranean Tree Frogs wait until dusk before they start calling but this afternoon I was in the garden and I could hear two of them calling. So I headed down to take a look. You may remember last year I got in a local disused Cistern to photograph and film them calling (click the link to watch the video). This year there is very little water in the Cistern but they are gathering at a large flooded area next to it. Of course, this will probably dry up, but they must be used to breeding in dry conditions. 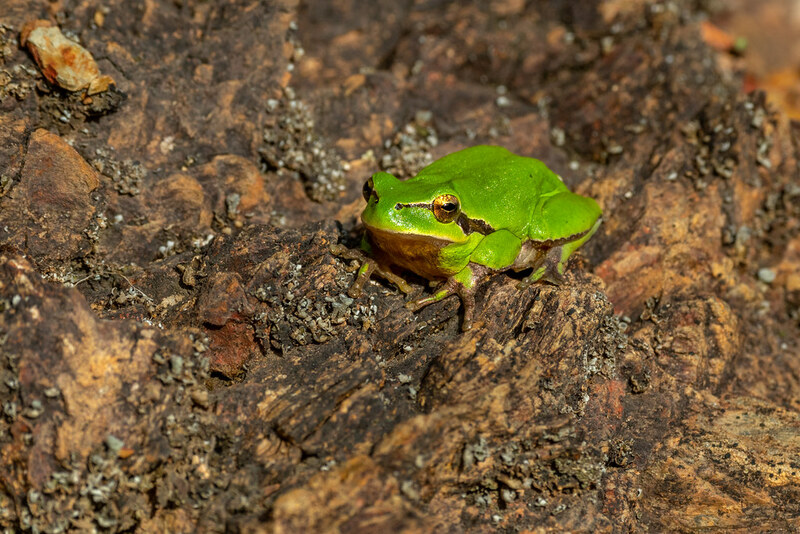 The Mediterranean Tree Frog is very similar to the smaller European Tree Frog apart from the black stripe. As you can tell from the photos the black stripe stops at its front legs whereas the European Tree Frog’s runs the length of its body. 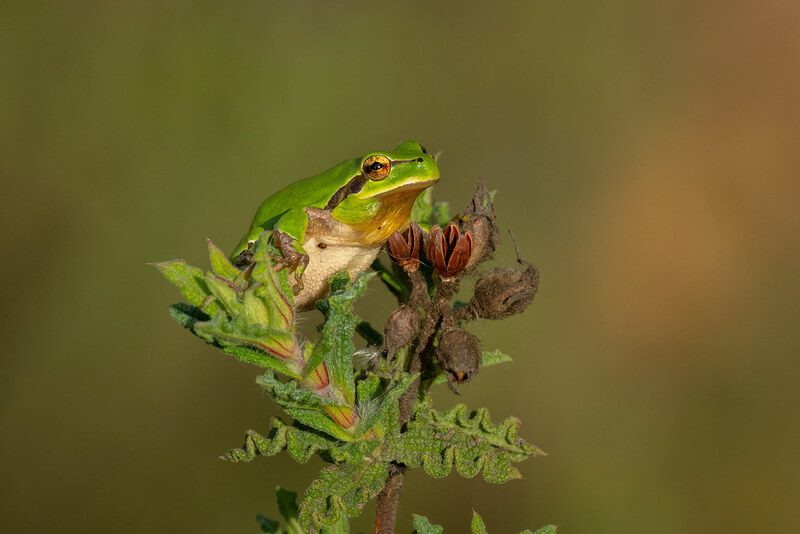 This is why the Mediterranean is often called the Stripeless Tree Frog.